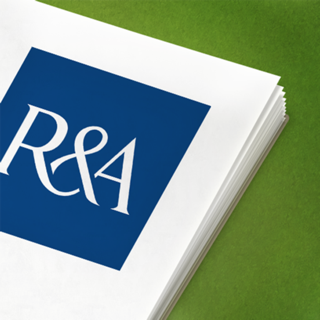 The R&A’s Official Rules of Golf App for the iPhone and iPad offers you the complete package, covering every issue that can arise during a round of golf. The App includes nearly 30 diagrams and how-to videos that help to explain the Rules effective from 2019 and give guidance for many common situations. •	A Rules Essentials section (will follow later in 2018 to help you learn the basics). This is an essential App that every golfer needs to ensure they are up to date and ready to play by the Rules in 2019. The App also includes the Interpretations on the Rules of Golf and Committee Procedures – both essential for Committees and Referees running competitions from 2019. Rules are rules. What makes this app shine is the ease of use in jumping from one place to another in order to cross reference what you’re reading and to figure out how to apply the at times very complex rules. The basic organisation is in chapters, which makes sense. The point is, if you’re in, say, chapter 13, and you need to go back to chapter 6, it is very easy to do this and then return to your original place. There are many terms which are highlighted. Touching these takes you to a definition of the term. Hitting the X takes you right back where you were. There are several useful diagrams explaining specific rules. Touch these diagrams, and they enlarge to include text explaining the meaning of the diagram in more detail; close it and your back exactly where you were. I am highly impressed by the thought which went in to the construction of this reference. Highly recommended. Looks good. Quite interactive and like the picture based finder tool... also like the terminology being clickable to help with explanations. Works quick and slick for on-course checks! I like the new format, as I’m familiar with the old rule book the new one is an improvement in my opinion. Only change I would make to the app is to have the pages display in landscape format, personal preference.